Home Editorials The Most-Censored News Story of 2014 Was ____(What?)_____. There is only one ongoing news story that’s being systematically censored out of virtually all U.S. news media. This has been the finding from a first-of-its-kind test of virtually all U.S. news media that report national and international news. The most-censored news story during 2014 will be identified here. 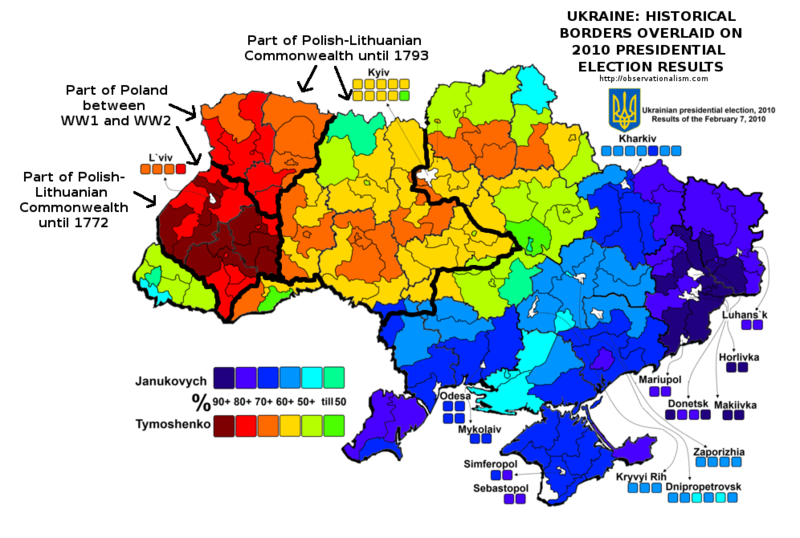 – The subsequent U.S.-sponsored Ukrainian ethnic cleansing program which has been carried out since then by the U.S.-backed new Ukrainian regime in order to eliminate the voters in the area of Ukraine called Donbass, which had voted 90% for Yanukovych and which voters therefore presented the threat of possibly electing out-of-office the Obama-installed leaders and thus of restoring a Russia-friendly person to Ukraine’s Presidency. Those news stories are the main contestants that I have come up with as having been possibly the most-censored news story of 2014. I tested also other ongoing but under-reported news stories (by submitting, to virtually all national U.S. news media, the news reports I did regarding all of the various contesting ongoing suppressed news stories), but the few ongoing news stories, that are listed here, provide some sense of the sorts of news events and stories which I was testing, throughout this past year. Without question, the most-censored news story of 2014, as determined by this test – a test that I have been constantly carrying out ever since the May 2nd massacre that the new Ukrainian Government perpetrated in Odessa – is precisely the Ukrainian news story: it’s the winner of my contest. This ongoing news story started with the February 22nd coup, then included the May 2nd massacre which led to Donbass’s secession from Ukraine, and it finally is continuing with this ethnic cleansing of Donbass. The purpose of the May 2nd massacre was, in fact, to terrify the pro-Russians in Ukraine’s southeast – especially in Donbass, the most pro-Russian area – so as to precipitate the secession of Donbass, so that there would then be an excuse for the Ukrainian Government to bomb it and so to get rid of the residents there, whose overwhelming votes had clearly made Yanukovych Ukraine’s President. The Obama regime doesn’t want the people there; it wants only the land on which they live. It needs this in order to be able to place nuclear missiles there, aimed against next-door Russia. The Obama Administration’s game-plan is to keep the land, and to kill the people who are living on it. This sequence of events has been major news, and it’s been thoroughly suppressed in the U.S. I have found that, whereas I was able to place, at some mainstream and some alternative-news sites, even news reports about President Obama’s violations of his publicly stated policy-commitments, and other such ‘controversial’ matters, only around a half-dozen news-media accepted even a single one of my numerous news-reports about the Ukrainian coup and its aftermaths – events that might even lead to a World War III, and that therefore are unquestionably important news events, which the public in a democracy ought to know about. Not even President Obama’s promise in which he privately assured the assembled CEOs of Wall Street, at the beginning of his Administration, that he would not prosecute any of them, but instead would protect all of them from being prosecuted – and his following through with that secret promise – not even this protection by him of the mega-bank CEOs, has been as heavily censored out of the American press as has been the Ukrainian story. This finding is, itself, like all of my news reports and commentaries, being distributed free of charge to virtually all U.S. national-news media (print, TV, and radio). The few media that will publish it are likely to be the same ones that have carried one or more of my news reports about the situation in Ukraine (and that’s fewer than ten). As regards all other American news media: those are the ones that are covering-up this important matter – not reporting it to their readers, viewers, and listeners. It’s clear that they have been covering it up, because they certainly have been informed of the numerous events in this ongoing news-story about Ukraine after May 2nd: I and other investigative journalists have been submitting honest and well-researched and well-written news stories to them throughout that time regarding this U.S.-initiated and backed Ukrainian ethnic-cleansing program. There is, for some reason, virtual unanimity among the owners of America’s press, that America’s public must be prohibited from knowing about the America Government’s operation in Ukraine. Perhaps one reason why this ongoing news story is so heavily censored is that the entire issue taking place in Ukraine could lead to something that might be far larger and potentially far more dangerous than merely a local ethnic-cleansing campaign. And Americans would then pay close attention to it. The importance of this news story is why it is being suppressed.